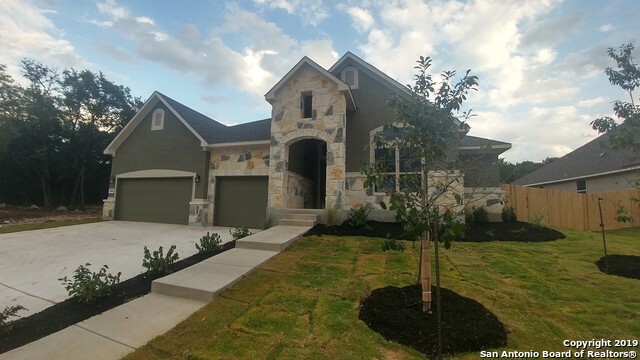 All ELKHORN RIDGE homes currently listed for sale in Boerne as of 04/20/2019 are shown below. You can change the search criteria at any time by pressing the 'Change Search' button below. "Under Construction. 4 bdrm, 4 -1/2 Bath,Study, Upstairs Bonus Room with full Bath and 3 Car Garage This house has too many features to list , but if your client needs an open plan with lots of extras, this is the home for them." "Under Construction. 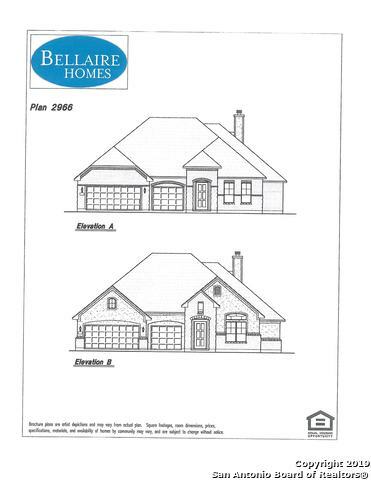 The Bellaire plan is a beautiful very open 4bdrm, 3-1/2 Bath,Study and 3 Car Garage one story. This house has many features including a large Covered Patio, large Kitchen with a huge island and stainless steel appliances including a built-in oven and a gas cooktop. The Master Suite features a large Bedroom and a Bath with a walk-in shower and built-in dressing mirror. This house is a must see and has more features than I have space to type." "New Princeton Classic Home in Elkhorn Ridge! Addison Plan 2667sqft. Home Features - 2.5 Car Garage * 7' Two Panel Mahogany Front Door * White Subway Tile Backspalsh * Granite Countertops Throughout * Gourmet Kitchen which includes Double ovens * 36 Stainless Steel Cooktop * Tile in all wet areas including the Family room * Formal Dining room and Study * Bay window in Master Suite with a Mudset Shower with Title Surround * Extended covered back patio * Sprinkler System & Pre-plumb for Water Softe"
"Why pay builder premiums and hidden fees when you can own this Pristine, Meticulously cared for Village Builder Luxury Home. This Pottery Barn Chic jewel comes complete with a 3 car tandem garage, sprinkler system, kitchen and breakfast bar adorned with premium granite, stainless appliances, custom tile throughout, recently installed deck for entertaining, upgraded ceiling fans, custom fit solar screens to name a few. 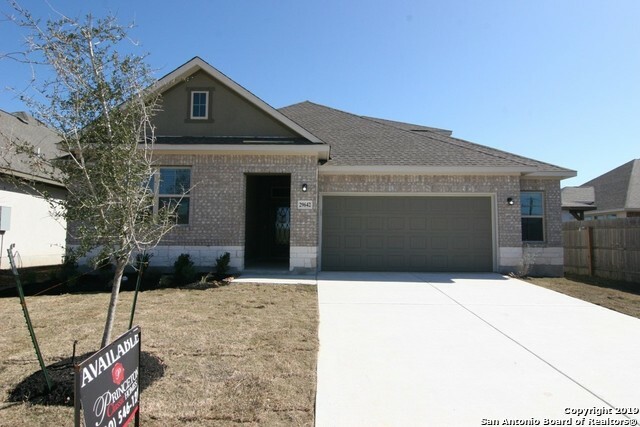 Walking Distance to Van Raub Elem and around the corner from Fair Oaks Ranch C"
"Great home built by Village Builders, Sawyer (Hillcrest) model. Split floor plan with open kitchen, dining, family for entertaining. Wood floors in the living areas, upgraded granite counter, custom cabinets, stainless steel appliances, gas cooking. 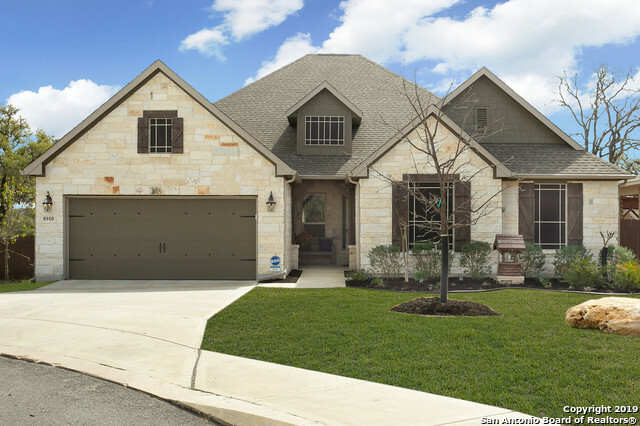 Sprinkler system, fenced yard, highly sought Boerne schools, gated community."